Understand the prevalence of modern slavery within the construction sector, your responsibilities and best practice associated with tackling it. Forced labour and labour trafficking are hidden crimes undertaken by exploitative individuals and criminal gangs. Detected cases within the UK construction sector are escalating. Many businesses are not aware that this exploitation may be taking place within their operations and supply chains today. Developed with the Chartered Institute of Building (CIOB) and delivered by experts from the construction sector this one day participatory course will ensure you are informed and equipped to address forced labour, implement good practice and minimise the risk to your business. Have the tools you need to implement what you’ve learnt. Those responsible for addressing human rights risks across the whole supply chain. There is one free delegate place for first-tier suppliers/sub-contractors* to the sponsors of the Construction programme. * This is one free place per organisation, not per workshop or per site. Call 01276 919090 to book your free place – you will need your free place discount code as provided by the sponsor. For all other places, select your date from the list above and book your workshop online. 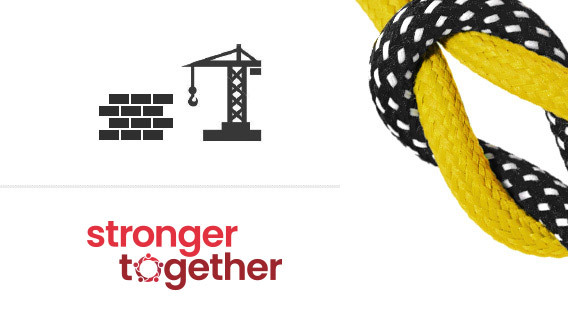 A comprehensive toolkit for employers and labour providers in the construction sector to inform, equip and resource them to tackle modern slavery. A printable A5 leaflet to inform workers in the construction sector about forced labour and where to report concerns.